Grade A Panasonic Cell Used to assure you a highest quality and reliability. LED power indicator. MCU control. No AC Adapter is included. 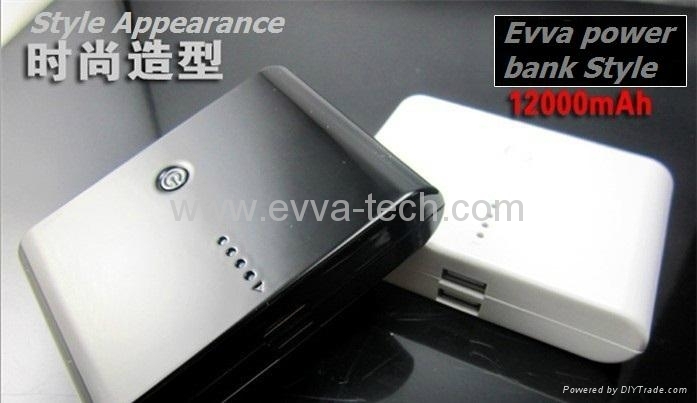 However, the EVVA Battery Pack is compatible with all USB charger for cell phones. *External Battery Pack High Capacity Power Bank Charger 1A output for Apple iPad 2, iPhone 4 4s 3Gs 3G, iPod Touch / Samsung Galaxy S3 S S2 S II, Advance, Galaxy Nexus, Epic 4G / Blackberry Torch Bold Curve / HTC Sensation 4G, XE, XL, One X, Thunderbolt, EVO Shift 3D, Inspire / LG Optimus V 2X 3D t / Motorola Droid Razr X 3 2 Bionic, Atrix 2, Triumph / Nokia Lumia 900. 800. 5V Mobile Juice pack AKKU power pack.